BEER SHEVA (Jan. 2, 2013) — The sharp rise in the polls of Naftali Bennett’s Jewish Home party is one of the surprising developments in the present election campaign. How is it that this religious party has doubled its numbers relative to present Knesset representation? The answer: It appears that almost half the new possible voters are non-religious, secular Israelis who buy into the image of this new politician with a Raanana high-tech sophistication who drinks beers in pubs and offers a universalist anti-establishment message. “This is a tolerant party for all Jews,” he claims. Unfortunately, it’s a message that is based on disinformation. Uri Ariel, number two on the party list, has openly opposed drafting homosexuals into the military. Number four on the list, Rabbi Elli Dahan has called for the cancellation of the Knesset committee for the status of women. As head of the B’nei Akiva youth movement, Moti Yogev, number nine on the list, notoriously pushed an agenda of gender separation and marginalizing females in what was traditionally a liberal Orthodox movement. Most B’nei Akiva chapters today won’t let girls sing in public performances, and the organization has increasingly taken discriminatory stands against Arabs and chauvinist stands against women. From the radical Jewish community in Hebron, Orit Staruk, number 10 on the list, is famous for her racist statements and her son’s one-and-a-half year prison sentence for violently abusing a Palestinian boy. Beyond the candidates, it’s instructive to look at the public figures supporting the party. These include rabbis who are among the most extremist religious figures in the country. They have called on the Jewish residents of Safed not to rent apartments to Arabs. Many call on Orthodox soldiers to refuse orders to evacuate illegal settlements. Indeed, the same rabbis who sat as advisers to the National Union party last week sent lawless youths to the illegal Oz Zion outpost and encouraged their violent resistance to Israel Defense Forces soldiers. With the tacit blessing of these rabbis, the youths injured five border policemen. This was just one in a long line of instances involving violent resistance and harassment of the IDF. It is baffling that secular men and women would want to strengthen these kinds of extremists and support this kind of racist political agenda. But the Jewish Home campaign is being very careful to hide the people it is trying to send to the Knesset behind one secular woman: the attractive right-wing activist Ayelet Shaked. Although she appears in tank tops in their advertisements, surely the rabbis that run her party would not even shake Shaked’s hand. 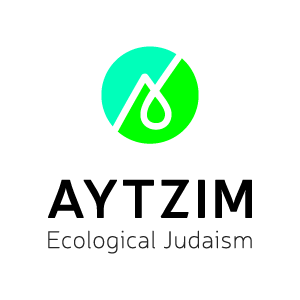 And empowerment of local communities to determine their rabbis and religious services based on the sociological and cultural orientation of residents. These are just some of the main points in the platform prepared by myself and Elazar Stern, an Orthodox IDF major-general and the number four candidate on HaTnua’s list. It shows that there is an alternative party where all Jews can feel comfortable and welcome, that there is a party where Zionism and tolerance are spoken, where democracy and Judaism need not be mutually exclusive. If the Jewish Home were to embrace the above positions, I’d be the first to retract this article and apologize for misrepresentation. Until then, let those who are even thinking about voting for them consider just what kind of Jewish home they really want to live in — one that only has room for Orthodox, right-wing intolerance, or one that embraces the entire Jewish people and the hope of a sustainable future in our homeland. "God saw all that God had made, and found it very good."